Donald Trump's presidency has been marked (if not fueled) by the wave of criticism that seems to follow him every step. "Racist", "ignorant", "divisive" and even "mentally unstable", are the most used epithets to refer to the forty-fifth president of the United States. But for Tom Perez, president of the Democratic National Committee and one of the most important Latino leaders in current politics, Donald Trump is simply "the worst president in the history of the country." In an interview with the newspaper El País (in Spanish), Perez said that the presidential performance is only an echo of the president's own personality: "he is a bully without principles, incapable of uniting his people and ruling by division and conquest." For this politician of Dominican origin - who was also head of the Department of Labor during the Obama administration - Donald Trump "is the most dangerous president in the history of the United States, unstable and an embarrassment to the nation." This is not the first time that Pérez shares his perspective on the president. During an interview with NBC on December 13, the politician reiterated that the guest of the White House "is perhaps the worst president in the history of the United States," arguing that his tax reform and the destruction of social programs created by the government of Barack Obama were an "abomination", and that "cultural corruption in Washington, as in Alabama, is unfit for the executive branch." 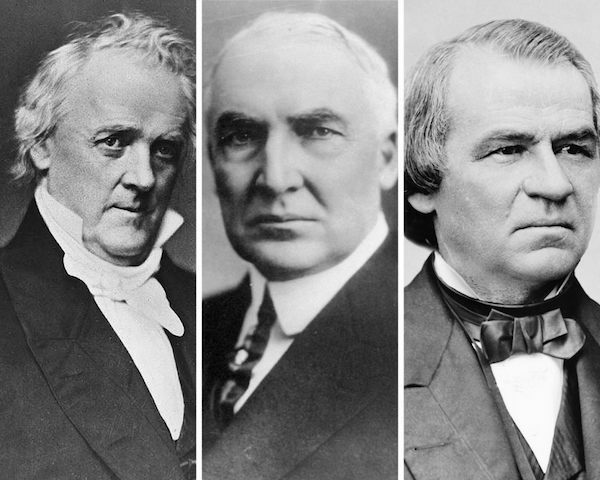 According to several research centers and surveys, the three presidents considered the worst in history are usually James Buchanan (1857 - 1861), Warren G. Harding (1921 - 1923) and Andrew Johnson (1865 - 1869), for their inability to solve the internal division of the country, for their encounters with political parties or for their tendency to negotiate benefits in private sectors from positions of advantage in the government (read, the Teapot Dome Scandal). Presidents Buchanan, Harding, and Johnson. While it is too early to guess if Donald Trump will lead this list, as predicted by Tom Perez, it is intriguing that a single president picks up the worst characteristics of his worst predecessors (think, for example, that Harding's habit of playing poker would be the equivalent of the constant presidential golf games in Mar-A-Lago). But as everything is day has its dawn, this presidency should also have a limit and it is the responsibility of the Democratic Party to focus its efforts on recovering the political terrain left to the GOP before it is too late. According to Pérez, the goal now is "to have a strategy in each district, and not give anything for granted. The organization must be everywhere, every day. The new Democratic Party must show its people what are we fighting for."